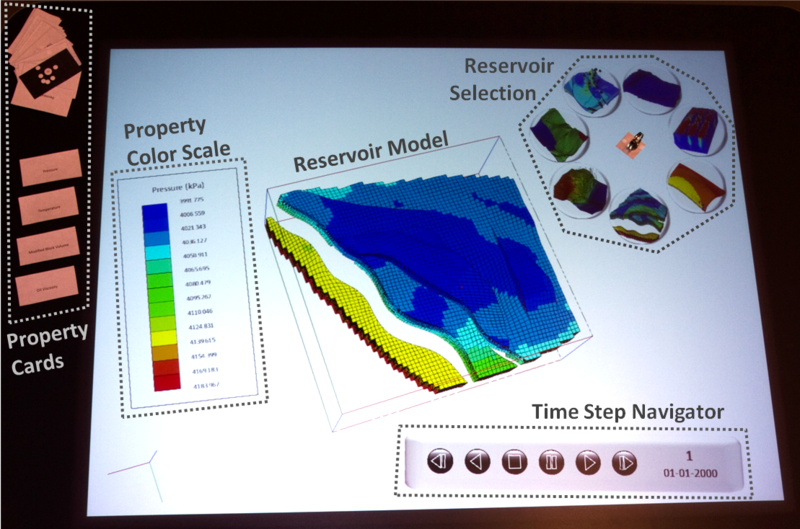 Abstract: Modern reservoir engineering is dependent on 3D visualization tools. 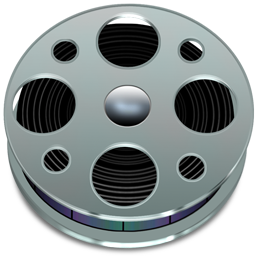 However the current tools used in this domain are not completely aligned with the reservoir engineer’s interactive needs, and do not address fundamental user issues, such as collaboration. 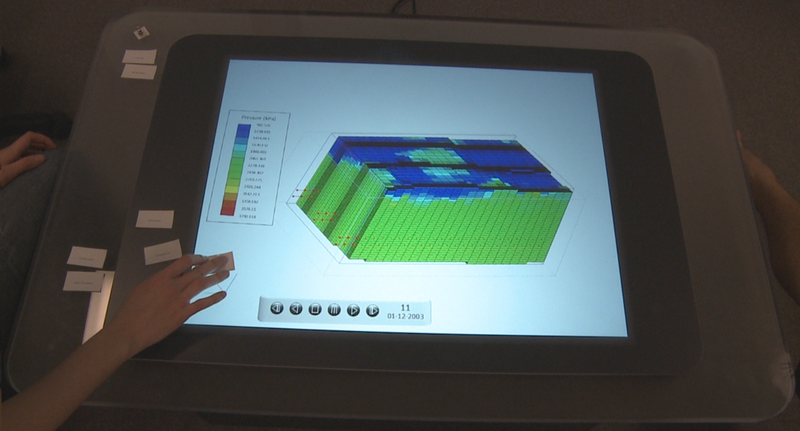 Here, we present a prototype for an interactive reservoir visualization system on the Microsoft Surface, making use of multitouch interaction and tangible interfaces to create a new visualization environment for the domain. N. Sultanum, E. Sharlin, M. Costa Sousa, D. Miranda-Filho, R. Eastick, “Touching the Depths: Introducing Tabletop Interaction to Reservoir Engineering”, Proceedings of ACM International Conference on Interactive Tabletops and Surfaces (ACM ITS '10), November 2010, Saarbrücken, Germany.